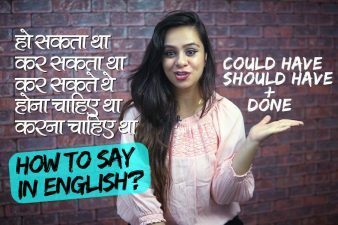 In This English speaking lesson you will learn how to use the words ‘Can’ & ‘Could’ in Spoken English conversation. 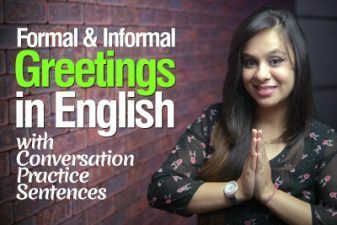 There are many different uses of these words and are often confused while speaking English. इस इंग्लिश स्पीकिंग लेसन में आप सीखेंगे की CAN और COULD को इंग्लिश सेन्टेन्सेस में कैसे use किया जाता है. 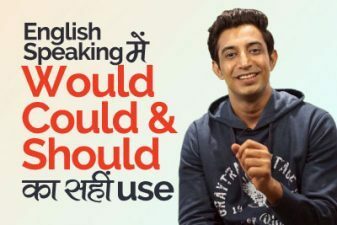 यह दोनों ही शब्द इंग्लिश में अक्सर use किये जाते हैं और इंग्लिश बोलते वक्त इन शब्दों के प्रयोग में अक्सर गलतिया होती हैं. CAN is used to show someone’s ability to do something. I can dance Tango (dance form). Can is used to seek permission. ‘CAN’ is also used for requesting something. You can take the spot if you like. Can we have more coffee? When I was young I could swim. I could run 10 KMS when I was younger. We could see the ocean from our hotel room. I could see that Danny was angry. ‘COULD’ is used for polite permissions. Could I get more water? Could I have more coffee? You could sit here if you like. Could you (please) repeat that again? ‘COULD’ is also used to express possibility. Next Next post: मदद कैसे मांगेंगे? – How to ask for help?